A natural and innovative shaving solution compatible with all skin types. Essential oils including Bergamot, Lemon and Organic Pepper, softening Almond and Olive oils, plus our antioxidant-rich APS formulation. Suitable for all skin types, particularly sensitive, reactive and youthful skins. BRYT Shave for Him is inspired by the Far Eastern approach to shaving and uses natural oils to soften the hair, making it easier and less abrasive. It treats the skin at cell level, nourishing and nurturing. Our antioxidant-rich APS formulation and Aloe in its purest form protects, soothes and heals. This combines with natural extracts of Almond and Olive oils that moisturise and hydrate. Essential Oil of Bergamot, an effective weapon against acne, combines with zesty Lemon and Organic Pepper. These invigorate the cells, penetrating the skin right down through its layers. The face is left clean, nourished, smooth and refreshed. 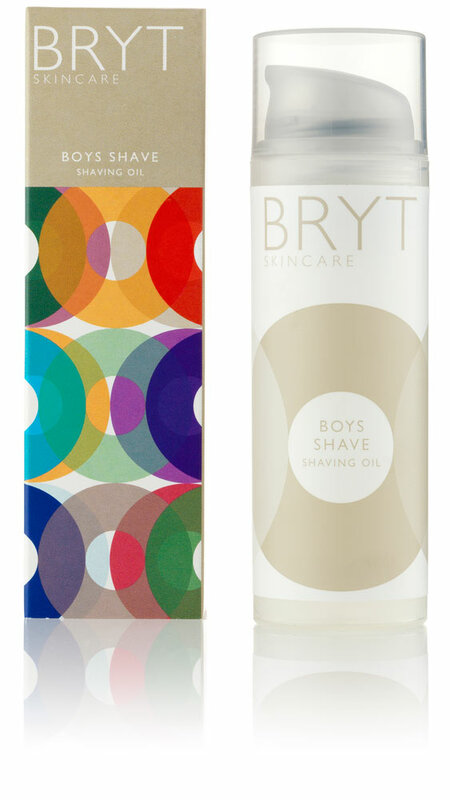 Following cleansing with BRYT Foaming Cleanser and/or BRYT Wash for Him (Step 1), apply BRYT Shave onto dry skin on the area to be shaved, massage in and allow to rest on the skin for a few seconds, to allow the oil to prepare the stubble. Reapply to the area to be shaved to give a cushion between the razor and the skin. Using a sharp blade, shave carefully in the direction of hair growth, taking special care around the sensitive neck area. Rinse the blade frequently. After shaving, pat skin dry (don’t rub), there’s no need to rinse the oil off. Follow with BRYT Moisturiser for Him (Step 3).